England pacer Mark Wood says he is "over the moon" after earning a call-up to the squad for the Test series against the Windies. Wood, who played his last Test against Pakistan in May 2018, has been drafted in as a replacement for the injured Olly Stone, who is out of the tour with a back problem. "I’m over the moon," Wood told talkSPORT after earning a Test recall. "Obviously it’s not nice for Stoney. I’ve been in his position when you get injured and somebody else comes in to replace you, but his loss is my gain. Hopefully I can go out there and have a positive impact on the team." Mark Wood has been called up to the England squad as an injury replacement for Olly Stone. According to Wood, England will go into the three-Test series as favourites, but cautioned against taking the hosts lightly. "My first tour was actually to the West Indies with England," he said, recalling the 2015 tour when he travelled but did not play in any of the three Tests. "Everyone was saying we should roll over them – ‘it will be 3-0’ – but we ended up drawing the series 1-1 and they played some pretty good cricket. "They always get up for an England series and it will not be as easy as people think. But I do think we are favourites with the exciting squad we’ve got and the performances we’ve just put in in Sri Lanka. 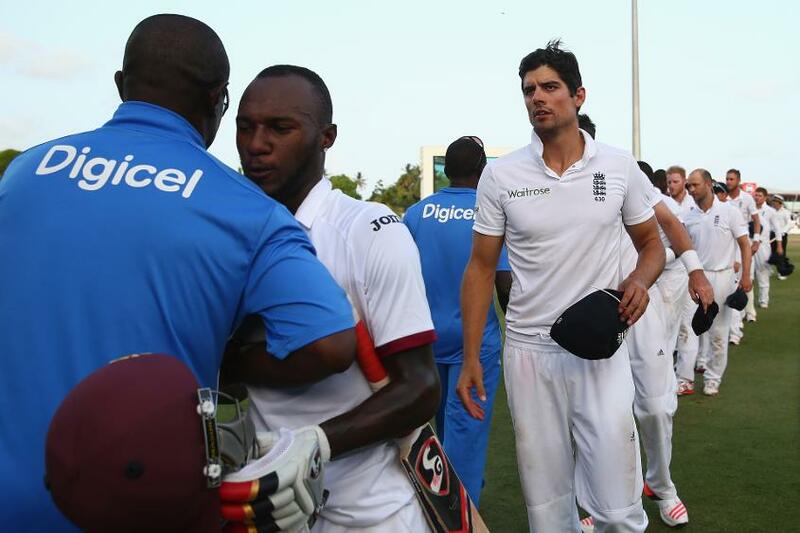 It’s not easy to win there, so if we can do that I’m sure we can win in the West Indies." Wood comes into the West Indies series having done well for England Lions against Pakistan A in the UAE, across formats. With the ICC Men's Cricket World Cup 2019 to look forward to, the pacer believs it is a good time to find form and be in the right frame of mind. "For me personally, coming off the back of an England Lions' tour, I worked on a few things and started enjoying my cricket again. It's important that everyone enjoys their cricket this year, without putting too much pressure on ourselves or trying too hard – that will be to our downfall," he said. "The things we've done well last year, the methods, if we continue that, we'll do pretty well. The World Cup, [rather than] just the last few months, it's been four years of preparations since the last one. It's a big time for the country."